​For over a century, the Philadelphia Orchestra Musicians have been thrilled to share our artistry, both on and off the stage, with Philadelphia and the world. The Philadelphia Orchestra Musicians pledge to preserve Philadelphia's reputation as the pinnacle of classical symphonic music worldwide. 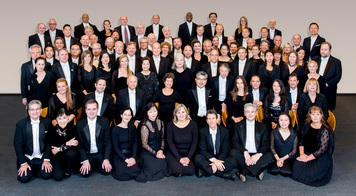 We are thankful for our orchestra family and supporters, and​ look forward to seeing you at many of our concerts! ​Check out philorch.org for tickets and check out our 2019-20 season! ​Interested in our summer venues? See us here in Philadelphia, in Vail, Colorado, and Saratoga, New York.